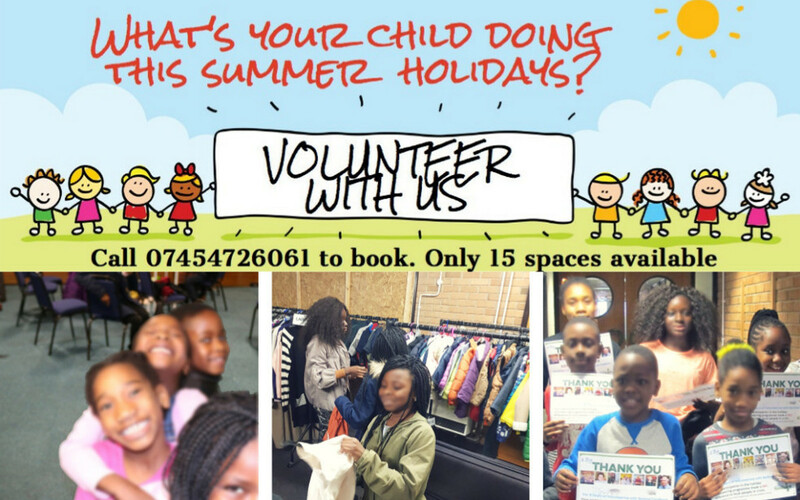 Hope Family Trust, via its Barking Foodbank project provides an exciting opportunity for thirty children aged 8yrs to 14yrs to spend this summer holidays volunteering with the charity. As well as engaging in fun and activity, the children explore what it means to volunteer and why it is important to volunteer. Each child is expected to put in 24 hours of volunteering in our foodbank and clothes bank projects and will be presented with certificates upon completion. Starting Tuesday 7th August to Friday 17th August for the first group of fifteen children and August 21st to August 31st for the second group of fifteen children, the scheme promises to be an immersive experience stimulating children to become lateral thinkers as well develop social, emotional and character building skills. By spending time outside their comfort zone, they get a chance to see new life perspectives, meet with other children and experience novel situations they might not otherwise get to see. These skills they put into practice during the programme and are rewarded for doing so on Rewards Friday. Rewards Friday: Friday of each week, the child/children nominated by their peers for exemplifying skills they have learnt during that week will get a prize. Friday is also the day we take a break and go out touring various child-friendly installations, museums, galleries and parks in the city. The Barking Foodbank Children and Young People Holiday Volunteering Scheme cost £25 per child per week for lunch and outings but I am in the process of securing funding for children whose parents might not be able to afford the cost. If you think this opportunity might be of interest to parents and their children will benefit from participating in the scheme and you can arrange it, I am quite happy to come for an assembly one morning to talk to the children about it. Please find attached a letter for the children to take home to their parents. Interested parents are to fill out the acceptance slips at the bottom, detach it and hand it over to the church. I will come and pick them up afterwards after liaising with the church office. Hope Family UK have just rolled out a new program called Community League. This program is targeted at young people between the age of 5 – 10 years and 11 – 21 years old. 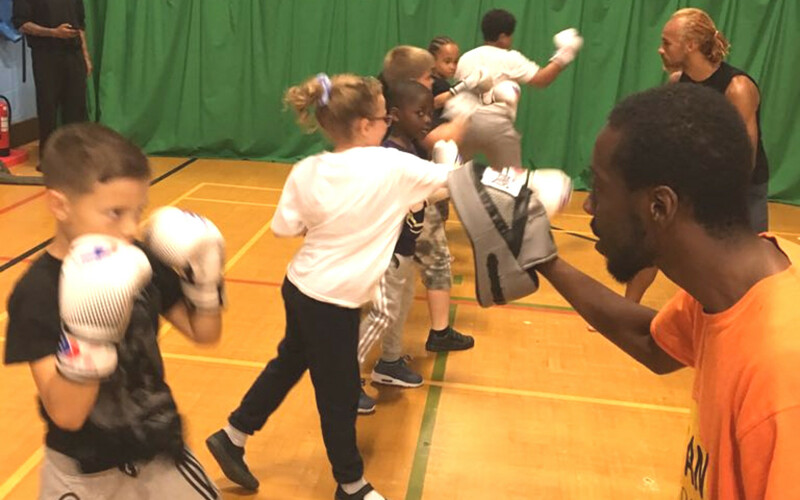 It avails young people in barking community to sign up and have access to free boxing kits. As part of our objective, we intend to keep young people off the streets and free from crime by engaging them with meaningful activities. Mercy Worldwide Trust a non profit-making organisation working to help victims in conflict or natural disaster around the world, particularly, orphans, widows and the most vulnerable. 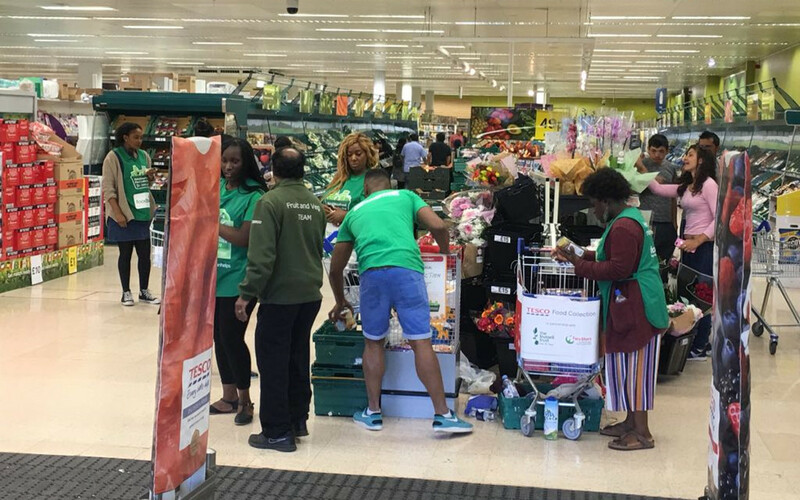 In view of supporting what we do at Hope Family UK, the organization took to Tesco Barking with over 50 volunteers and they raised over 1.5 tons of food for the barking community. We wish to say a very big thank you to all staff members of Mercy Worldwide and pray that you continue to share the love of God. For us to succeed is very important because so many people depend on us for survival. Hence we so much depend on support from individuals and corporate organization to keep doing what we do. 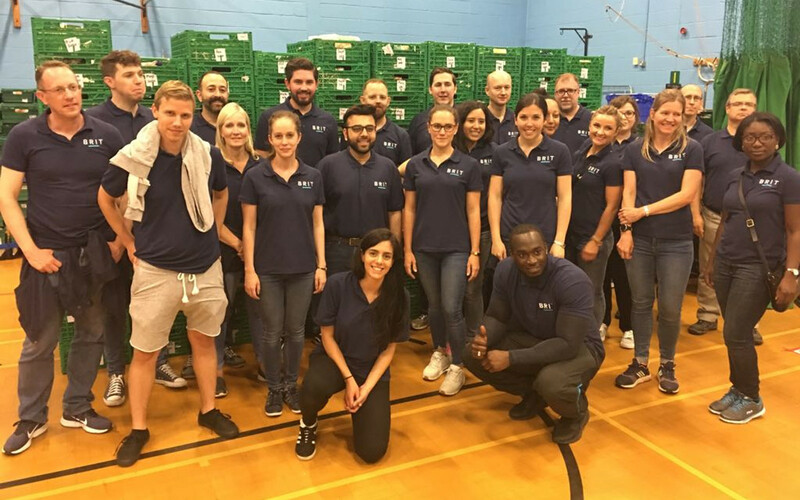 Brit Insurance a market-leading global specialty insurer and reinsurer organization gave a whole day of support Barking Foodbank and a woping £1000.00 worth of food. We just want to say a Big Thanks to the management and staffs of Brit Insurance for their support and encouragement.